Whether you’re trying to become a bartender in Las Vegas… or you simply want to improve your bartending skills in the one and only Sin City, you’ve come to the right place. Today, we’re going to take a dive into the top bartending schools Las Vegas has to offer. There’s many to choose from, but we’ve asked our fellow friends in the field to give us the inside scoop. The last thing you want is to overpay for a bartending school that doesn’t take you to the next level, earning you more tips, tricks, and success over the long haul. 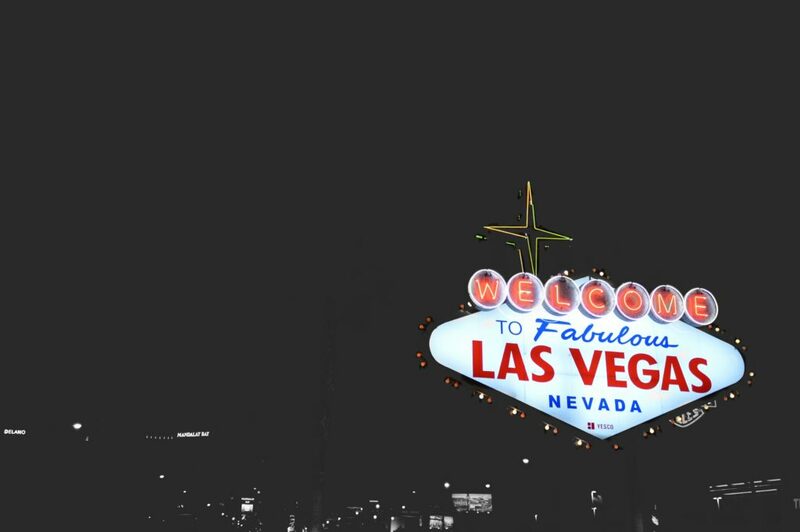 Las vegas is home to some of the nations best casinos, night clubs, bars, restaurants and hotels. In Vegas, the party almost never stops, making it a bartenders paradise second to none. The city’s extensive tourism appeal brings new faces and foot-traffic into bars 365 days of the year. Simply put, your shifts will rarely be slow and even better, most people visit Vegas to do to one thing: Spend their money. And you can bet your bottom dollar this type of gambling atmosphere and party city lifestyle heavily involves ordering a few beverages. With that said, it’s abundantly clear that bartenders looking for a job in the Vegas markets are faced with stiff competition. Bartending in Vegas is certainly rewarding, but landing a job may be harder than it looks. Attending a Las Vegas Bartending School is one major step in the right direction when it comes to landing a job in this competitive market. These bartending schools will improve your mixology knowledge, bartending skills, and some will even go out of their way to land you a job. So for your convenience, we’ll be breaking down what each school has to offer, the prices they would cost, and the timeframe it takes to complete each course. Additionally, we’ll be ranking them from WORST to BEST. Cheers to making it this far in your bartending journey. ABC Bartending Schools is a nationwide program. They are the largest privately owned bartending school system in North America, providing schools in Miami, NYC, Dallas, LA, Hawaii, San Francisco, and Atlanta – to name a few. Regardless of the location, Tony Sylvester (the owner) has a fantastic reputation and has been organizing bartending courses nationwide since the late 70s. If you decide to take classes in the morning or afternoon, you will be instructed by Greg Abate. Greg has nearly 50 years of experience in the hospitality industry. He’s managed restaurants, night-clubs, and has had his fair share of bartending experience, primarily in south Florida. Before teaching bartenders in Vegas, Greg was teaching his craft in sunny Ft. Lauderdale. The night shift instructor at ABC Bartending is Larry Riley. Just like Greg, Larry has over 30 years of experience of managing different bars and restaurants. More importantly, students have high praise for his care and work ethic. Larry compiles a job lead list for students every Tuesday. Getting to the ABC Bartending School in Las Vegas is one of the main benefits. It’s in a central location, close to the heart of the city, and provides plenty of room to park. The benefit of going to one of the ABC programs is that they have a nationwide job-placement procedure. So if you don’t jive with the Vegas lifestyle, they can potentially help you find a job in other cities across the map! The ACE Bartending Academy in Las Vegas is quite expensive compared to our other choices, but some feel it’s worth the investment. Remember, these certifications stay with you for a lifetime. At ACE, the focus is on memorizing drink recipes along with teaching you the history and production of each beverage. They cover all local health and legal procedures, while also providing a CPR certification. This is a major benefit as knowing how to properly perform CPR is a great skill to have not only for bartending but for life and other jobs down the road. Other class benefits? They have recently renovated their bartending classroom by adding 8 stations and a top-tier CO2 system. This is a a major advantage as most bars you’ll be working at will have one. In addition, ACE helps their students land jobs upon graduation. Okay folks, brace yourselves. This is our hand-picked best of the best. The following school is the top bartending school in Las Vegas. And we’re not the only ones who believe so. Many of our sources have expressed the same. Instead of dealing with big providers, who train students across the states, this course is local. They also have a footprint on the industry itself in Las Vegas. They are well-known to local bar managers and hard-working Vegas bartenders alike. The National Bartenders School has been a Las Vegas staple for bartenders since 1994. They are our top school for three reasons: (1) They provide a students with an extensive curriculum (We’ll dive into details on this below). (2) They have an excellent career placement program. They don’t just have a list of job offerings. Instead, they have bars across Vegas calling them! And finally, (3) they have a sense of community unlike all others bartending school in Las Vegas. You see, when you enroll in the National Bartenders School, it is a LIFETIME membership. It’s not just a – here’s your certificate and get out of the door – type of program. Once you’re done with the course, you’re allowed to come back to the facility anytime, and continue to receive training at no additional cost. That means free tutoring for a lifetime. If you’re ever feeling rusty on your bartending skills down the road, they’ll let you come back in and train. Pretty neat idea, right? In addition, this school is the only bartending school in Las Vegas to offer yearly seminars to all current students and graduates. These seminars allow you to keep up with the latest techniques and trends, regardless of when you signed up for a course. All in all, they have everything all the other courses provide, but they take education and the continuous learning aspect to the next level.